My Tenerife journal couldn’t close without mention of the best coffee we found. A tiny bar, about half-way along the promenade to the west of the town, served a very reasonable espresso from a machine that uses those little foil capsules. Same friendly service from a barista who shrugged gloomily at the price he had to charge us but one of the few people we met who understood our laments. Not for aficionados and not for purists, but the best we had. Earlier in the day before our evening at El Lagar de Julio we’d made the trip along the TF-5 to Puerto De La Cruz. Like other centres that have taken mass tourism to their bosoms there were the big hotels, apartment blocks, parking problems and Chinese restaurants. But it certainly wasn’t all awful and a lasting impression we’d gained in Tenerife of litter-free streets and a general cleanliness was here again. We walked some villa areas, the old town and harbour; took some bitter coffee and snacks in a pavement café and greatly enjoyed the pool in the Jardin Botánico. At one point I fell into conversation with a couple from northern England who were loyal visitors, having returned for their autumn break for the thirteenth year. Its popularity for them was more to do with climate than culture and it was difficult to determine what they thought exemplified the essence of the island; after all, it was warm, sunny and not too foreign. And that probably sums it up – as long as the weather is reliably good you can rub along fairly comfortably in most places. They now had a favourite hotel, a favourite steak-house and a coterie of once-a-year friends. The La Ranilla district of the old town – that’s where they were headed – clearly has a lot to offer and, if one was minded to stay, that would be the first place to look for a table for two. One had a small suspicion, however, that the views from the quiet restaurant would include bare-chested oiks moving from one themed bar to the next. It seemed a long way from the cultivated fields of the Orotava valley or the hills past El Tanque. We were feeling that there is clearly a great deal to Tenerife and more than we could have seen or sampled in the short time we had. Its reputation – at least, the reputation that a lot of writers and reporters wanted me to have – is probably unjustified. There are some genuine and well-documented flaws but it still gets a bad press. Pleasant banana plantations, tracts of unspoilt scenery, culinary gems like Julio’s and remnants of laurel forest do provide respite from the apartment blocks in Puerto and the breathtaking, single-minded exploitation of Playa de Las Americas and Los Cristianos but in an interesting way they contain the tourism rather than allowing the tourism to dominate. A discerning visitor can get away from it but you have to wonder for how long. With tourism providing over 32% of the island’s income the politicians clearly have something of an unrequited love affair with it. The islands, with devolved autonomous status, qualify for EU structural improvement funding so money is made available by bureaucrats for local politicians to spend on projects that are deemed [by the politicians, of course] to benefit the population or economy. Beautification, improvement of run-down urban areas, utility infrastructure and four-lane roads fall into those categories. So development is encouraged if it wears the mask of improvement, a bigger road is driven through the western end of the island, inward investment for tourist-related construction is facilitated and derelict industrial areas are turned into green spaces that are pleasant for people like me to stroll through. And, of course, every new project is justifiable – all new hotels in Tenerife, for example, must now be designated as ‘luxury’ but as someone who has been paid to stretch a developer’s budget to get an additional star pinned to a hotel’s rating, I know this to be nonsense. A 500-bed hotel, even when it is described as ‘Eco-development’, has the same environmental impact whatever its rating. Some funding does find its way into improvement of rural areas, where there are justifiable concerns for asset [buildings and villages, that is] and soil degradation, but it’s not a lot. The putative benefit of development or new roads is that they generate employment in tourist facilities or construction when opportunities in agriculture and rural areas are diminishing. That being the case, I wonder, if a family has fished or farmed for generations what does a regular job serving club sandwiches do to halt or reverse an invidious erosion of a traditional lifestyle and values? 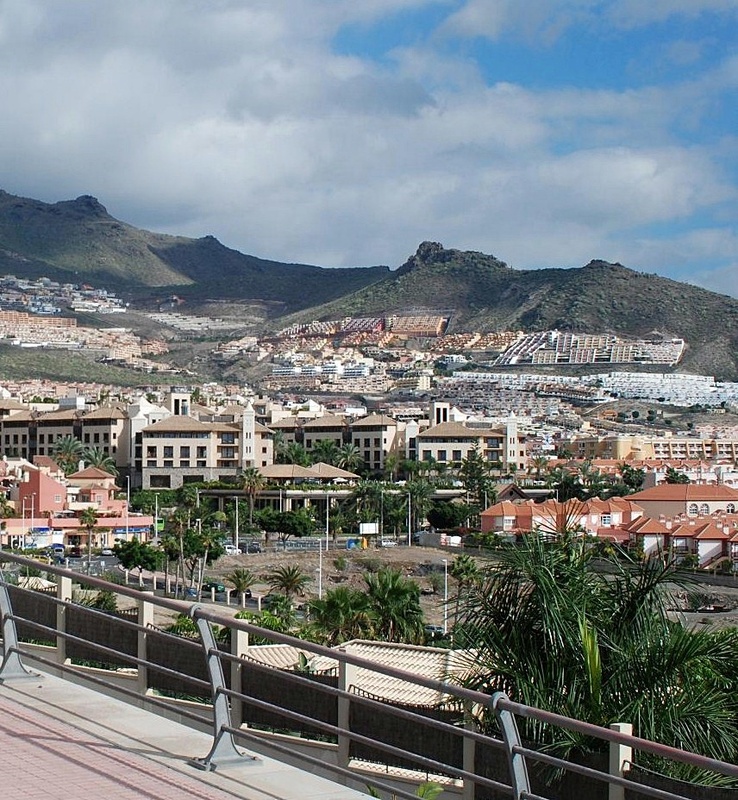 Certainly it improves unemployment statistics and the Cabildo de Tenerife [Island Council] can demonstrate that funding is put to appropriate use. I understand that change happens and that it’s not realistic to ignore what tourist exploitation brings to the island’s economy. 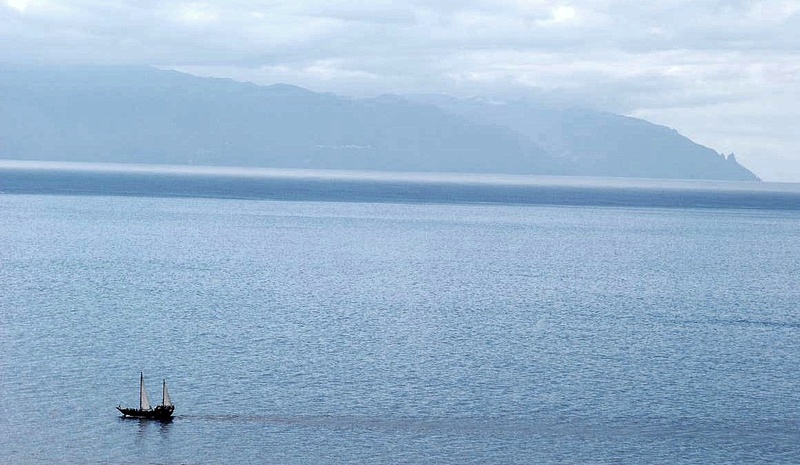 But have any elected politicians looked at the horizon and said, ‘Enough’? We spent our last night in Tenerife on the Costa Adeje in order to facilitate a swim in the sea for Mission Control and a quick run to the airport. The Gran Hotel Bahia Del Duque Resort was akin to Portmeirion with waiters – all spires, columns and pastel shades – but I guess that such a resort can only exist in such a place. Security on the gate was both a real and surreal; we were expected and the guard rigorously checked our details before waving us through with a smile. So the hoi polloi were kept at bay but the fey ‘Canarian national dress’, replete with silly hat, that he and all the staff had to wear, seemed unnecessary, demeaning and, to my mind at least, insulting. Sipping a cold beer on the balcony later I gazed in silence at the developments we saw stretching away from us to the south and climbing the gentle slopes away from the sea. Whatever else one might feel about mass tourism Tenerife hadn’t shirked the job of putting its marker down. I hadn’t expected to see something so extensive or so substantive and suddenly stories of organised crime, timeshare scams, destitute emigrants and excessive behaviour fell into place; it was all simply a matter of scale. Safe behind high walls and locked gates our accommodation was a microcosm of this tourist city; vast, not very Canarian and brimming with facilities; so many smiling, helpful staff – if looking faintly uncomfortable in their ‘working’ clothes – that one took to walking with eyes lowered so as to avoid eye-contact and the inquisitive ‘how may I help you’ response it generated. Pools, restaurants, stages, activities – I felt that by virtue of the resort being so massive and overwhelming it demanded participation. And perhaps that’s the thing – perhaps tourism is so big in Tenerife that participation, in one form or another, is the only option. A promenade ran between the resort and the beach. When we checked-in we were warned in serious tones that it was a public area but I’m still not certain why. Was there danger or was it having to mix with people without access cards? Maybe they didn’t want us to spend anything outside the resort. No one I asked could tell me but we bravely ventured outside to find the area not only pleasant and litter-free but busy with people doing just what a promenade is for. Crowded, yes; a little noisy, possibly; fragrant from crepes and French fries, of course. But taking all things into account, it really wasn’t that bad. In a funny kind of way there was something more genuine about the crowd strolling or jogging beside the beach than there was about the guy wearing a Fedora and singing Sinatra standards with a heavy Spanish accent in the resort that evening. The sun shined on our last morning and it was hot. Mission Control had her swim in the sea and, from a crowded beach, I watched dolphins feeding around the fish-farms despite the constant intrusion of the whale-watching boats. The swimmers and the dolphins were just getting on with it as, I guess, were the crews on the boats. 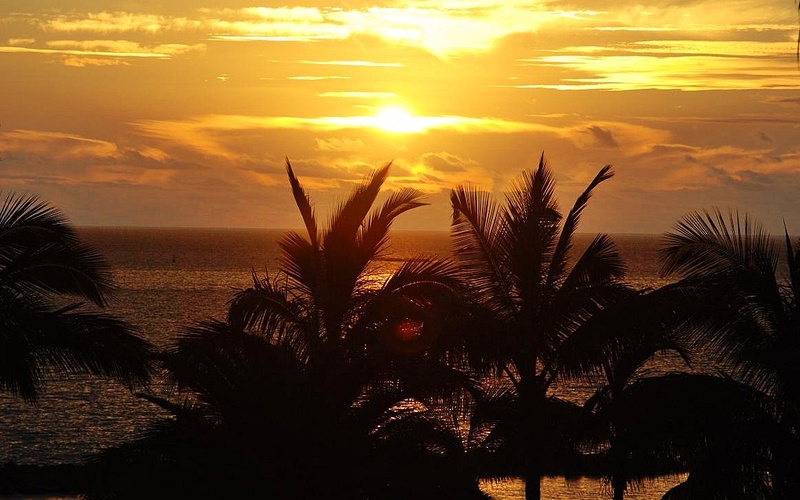 When I first arrived in Tenerife I felt certain that it would be my last visit. I’ve seen enough in the island now to make me think again but, if I do return, it will be to spend time in the centre and on the northern side. Tourism will have encroached some more by then but a lot of people clearly don’t mind that. They’ll just get on with it. 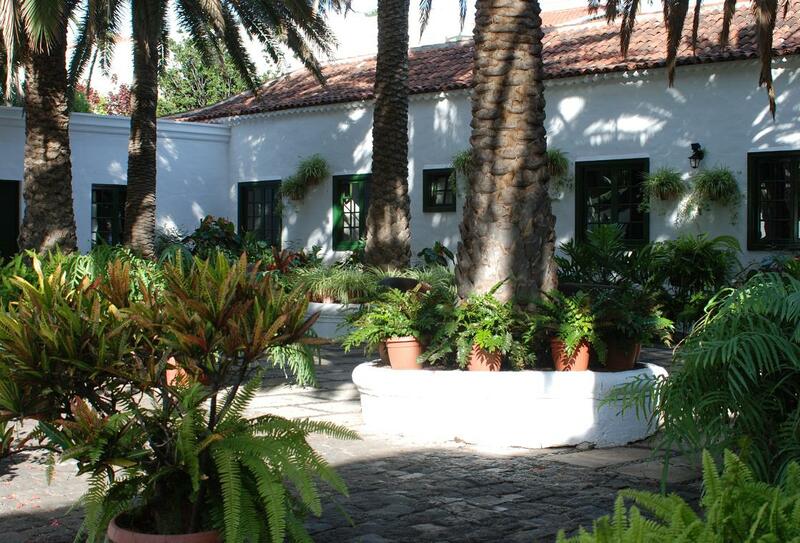 Tenerife has a lot written about it; I prefer knowledgeable and objective so I recommend a few minutes at Real Tenerife. The hotel and plantation sit on the coast and have a fair bit of history, which the hotel’s website briefly describes. It’s worth visiting if only for the background soundtrack of crashing surf – click here. The hotel is a welcoming and informal place to stay and it was interesting to learn so much, at first hand, about banana cultivation. 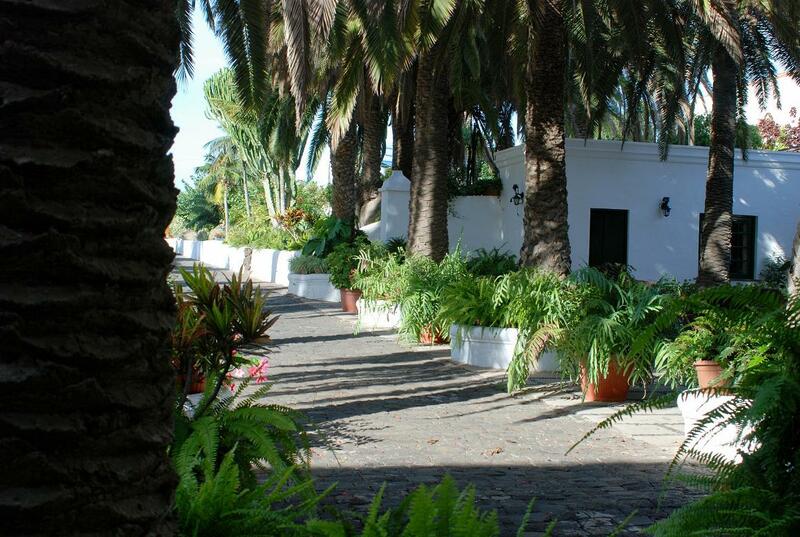 The philosophy of the owners is clearly to share all that El Patio is and that includes the plantations, historic buildings and house, which is a family heirloom. A guided walk is on offer after a candlelit evening meal in the courtyard. We took advantage of it and it was a pleasant affair with convivial conversation but a less than memorable dinner. In a hotel that offers evening meals on an ‘as requested’ basis it’s probably best to assume that there’s no full-time chef, no regular suppliers, a limited menu and culinary skills to match. We enjoy our food and sampling local hostelries is a big part of our travelling. In a short, first visit to Tenerife it’s not possible to visit every restaurant and pick out the best but we had a good look around. After the disappointing meal at El Patio that rolled out a monochrome version of what had been on offer throughout our tour I was more or less resigned to accepting that cuisine of a high standard and, specifically, something that took the tradition of the island and moved it forward was confined to big hotels and main towns. There, the food might easily be described as international fusion – not quite Canarian but not quite something else either. The ingredients were, without exception, good and always fresh and staff were always smiling and welcoming but a lack of attention to detail betrayed an assumption that any given customer was visiting the island and unlikely to return. We’d been to restaurants, like the excellent El Templete in El Médano for example, which were authentic but uninterestingly traditional. Restaurant Carmen in Icod de las Vinos was simply hopeless and Aristides Restaurante in Garachico served just-off-the-boat fish with service that was friendly and personal but the dishes were overpriced and over-oiled; not great when the plates are cold. Not despair by any means but just a little disappointing. But providence took a hand in the form of the people down the corridor. 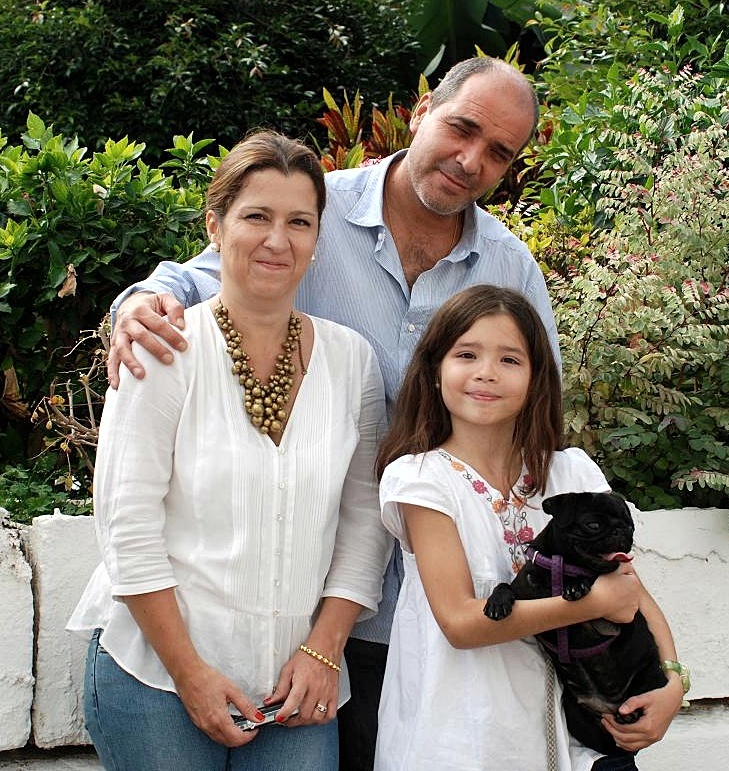 We’d rubbed shoulders with Paulo, Cristina and the delightful Inez going in and out of the hotel and found them having dinner at a small place in Garachico called Hotel Quinta Roja. We’d had a nose around the building when we were exploring the town; it had been a possible destination for us when we were looking for a place to stay in the north so we’d tested the coffee, which was drinkable. The hotel had a pretty, modern feel to it and had benefited from being improved as part of Garachico’s beautification. And it had a restaurant with a menu that didn’t impose the tourist’s favourite, papas arrugadas [wrinkly potatoes], but which did serve local produce. The restaurant was empty save for our friends and we wondered why. Paulo explained that it was simple – he followed the chef and Julio Lazquez happened to be working there that night. Julio has his own restaurant in Garachico and also cooks for the hotel, dividing his time and alternating between the two. His restaurant, El Lagar de Julio, is small; more intimate and more personal than the hotel, but both serve an equally high standard of cuisine. Imagination, presentation and a light, balanced touch overlay the excellent local ingredients. The food makes dining in either an experience that adds a dimension to visiting northern Tenerife. So impressed were we at Quinta Roja that we booked tables for next evening at El Lagar, where Julio’s sister is hostess. The cooking is excellent, the dishes are presented with individual flair and, in our view, Julio is taking huge steps forward on behalf of Canarian cuisine. Between us all we sampled most of the dishes on offer and none disappointed. So, our last evening on the north coast was gentle, long and convivial; the local wine again consistently good and conversation with our Portuguese friends and Julio both interesting and stimulating. Next day we’d head south and expected to witness another facet of the island but this evening, I felt, was a taste, albeit fleeting, of the essence of Tenerife and this is what I’d take with me. I suspect that, as a travelling companion, I might sometimes be less than easy. When searching for the next destination and one that yours truly will find relaxing and recreational Mission Control is tireless in her pursuit of something different. I’m an unforgiving customer, convinced as I am that life is too short anyway and most of us don’t work that out until we’re careering the downward slope on a tin-tray. By virtue of this home-spun philosophy, which I accept doesn’t stand up to detailed scrutiny, I tend to be picky, demanding accommodation suffused with an air of contentment; views, nature and heritage; excellent food and beverage within a reasonable getting-back-afterwards distance and, of course and always, incomparable birding on the doorstep. That might appear an unreasonable list of requirements – actually, it does when you see it written down like that – and even unfair but when you’ve mumbled agreement to a trip from behind a newspaper and found yourself a short while after gazing in awe at wild elephants and Greater Indian Hornbills in Kerala or counting Horned Puffins coming to roost over Cannon beach in Oregon you tend to get a little blasé. So I wasn’t as alarmed as one might think when Tenerife and banana plantation were mentioned in the same sentence, despite having initial reservations about both. I’m not good at crowds and plebeian tourism for reasons no more complicated than wanting to make my own decisions about how my time is spent but the option was there and we were able to use Stansted by pinching a couple of last-minute seats at the back of a Thomas Cook flight. We’d been in contact with the hotel from England and called again after arriving in Tenerife as we’d received no confirmation. That wasn’t a concern, we were assured; everything was in order and we were expected. I can’t imagine hoteliers taking such a relaxed view in northern Europe but, here we were, turning off the road at Bar El Guincho, through a suicidal blind road junction and following directions on hand-painted signs. 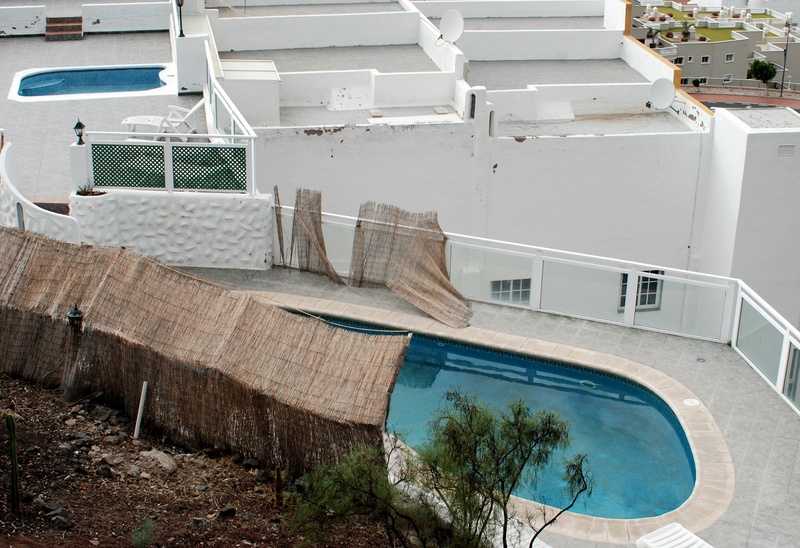 The informality of arriving at Hotel Rural El Patio was a little daunting and that, coupled with some reviews we’d read before travelling, indicated that we might require a change of plans next morning. I’m suspicious of reviews but there were a couple of common themes emerging from the generally positive feedback we’d read about this place – there were several mentions of ‘uncomfortable beds’ and one specific reference to the coffee at breakfast being ‘vile’. Now there’s a word that leaves little room for interpretation. As things turned out, there was no immediate cause to worry. The hotel comprises a charming group of buildings set around a large shaded courtyard – the eponymous patio – and proved to be a quiet, pleasant place to stay although the beds reminded me of some youth hostels I’d flopped in when I was a student. It was pleasant to find rooms without TV and telephones. Our host responded to our enquiry about having dinner locally and as far off the tourist route as we could be by recommending El Trasmallo, just on the other side of Garachico. They served local people, he said; the fish is fresh. He called them; they had fresh fish and would be pleased to see us. I’m convinced that here, opposite to what we expect in the north, the authenticity of a restaurant increases in direct proportion to the lighting level and amount of surfaces that can be wiped-off with a damp cloth. El Trasmallo was flooded with fluorescent strip lighting and would comfortably serve as an emergency operating theatre should the clouds and fog we’d been in all day turn into a serious weather event. So, in glaring white light we chose our fish before skidding gently across our plastic seats and sipping our chilled fino aperitif. A superb ‘Cherna’ would be grilled and served with fried garlic. 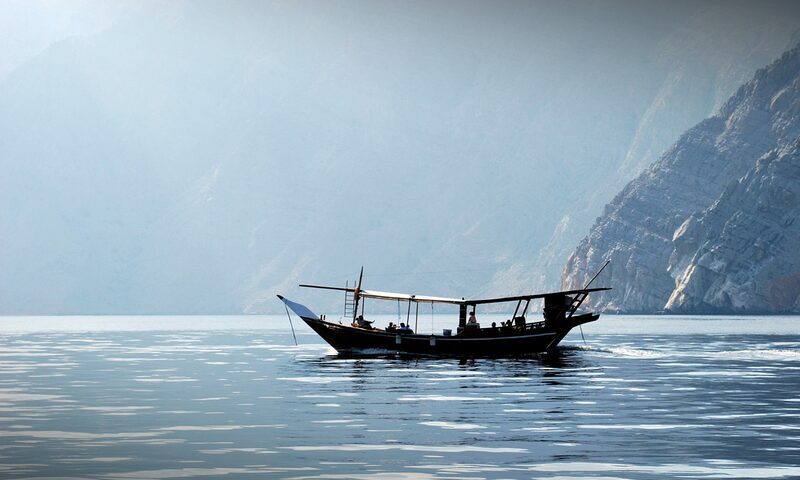 We’ve come across this fish before – it’s a kind of grouper and, although not quite the same as that we’re used to in Florida or the Middle East, it is a tasty, white-fleshed fish that has a big flavour. It was served in typical Canarian fashion with papas arrugadas and mojo. The food was good; perhaps a little too much olive oil, perhaps presented a little too rustically but cooked and served with immense and justifiable pride. The attention of our cook as we ate suggested that slightly different priorities were at play than we’ve seen in more than a few ‘sophisticated’ venues as the evening turned into something that was very much about substance over style. It was also pleasant to buck convention and drink chilled red Tacoronte-Acentejo that had been produced just down the road. A superb occasion and we weren’t allowed to leave without a small glass of ron miel or ‘honey-rum’. This interesting blend of honey and rum is a local tradition and, I suspect, probably very addictive. It certainly seems to have addicted the visitors that roam the Tenerife forums trying to purchase it. Next day the courtyard of El Patio proved to be the delightful foil against the south of the island and first impressions of Tenerife that we’d hoped for. Sunlight and dappled shade, quiet save for Canarian Chiffchaffs and rustling banana leaves with clouds slowly drifting over the green cliffs above us. El Patio’s owners were delightful and the staff helpful but the beds proved to be, how do I put this – unique. And the coffee was, without any fear of contradiction, as vile as vile could be. I’m guessing Andy Capp, a famous English cartoon character hailing from somewhere ‘up north’, wouldn’t have liked the heat or the local food of Tenerife but I could have strung out a conversation with him over a pint in his local boozer if we’d talked about pigeons. But unlike northern England any pigeon fanciers seen on Tenerife aren’t kitted out with cloth cap and whippet; it’s usually binoculars, a ‘scope and something to keep the sun off your head. I was that man for a day when I went to Erjos and took a walk in the woods. The climate in the north-west corner of this and several other islands in the group provides a warm, humid and relatively stable atmosphere that suits the growth of ‘laurel forest’. It’s called Laurisilva and although it’s not unique to the Canary Islands it is quite special due to its dependence on the fog and mist that precipitates up to about 1600m. It occurs in suitable sub-tropical areas throughout the world and the ecosystem it supports is usually very rich. In the Canary Islands, Laurel-like trees up to 40m in height develop a dense, evergreen canopy across the steep valleys and escarpments. 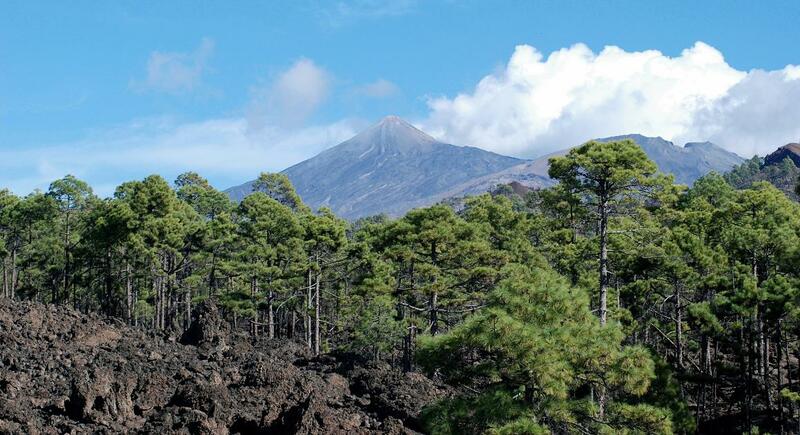 Laurisilva is still found on several islands in the group but the area of forest on Tenerife has been much-reduced through logging and agricultural clearance so only something over 50 Km² remains. And this is where the pigeon fancying comes in; two endemic species occur there. These are Bolle’s Pigeon Columba bollii and Laurel Pigeon Columba junoniae and, as a birder, it was essential for me to get a look at them. I’d been to the Canary Islands before but not to Tenerife as a fear of crowds, misspelled body-art and Albanian street gangs had kept me awake through the nights before I finally booked the flight. So that trip was spent, very enjoyably, on Fuerteventura. A birder visiting these islands has the essential task of adding ‘the endemics’ to his list so this second visit for me required views of the pigeons as well as Blue Chaffinch Fringilla teydea plus a few Canarian subspecies. 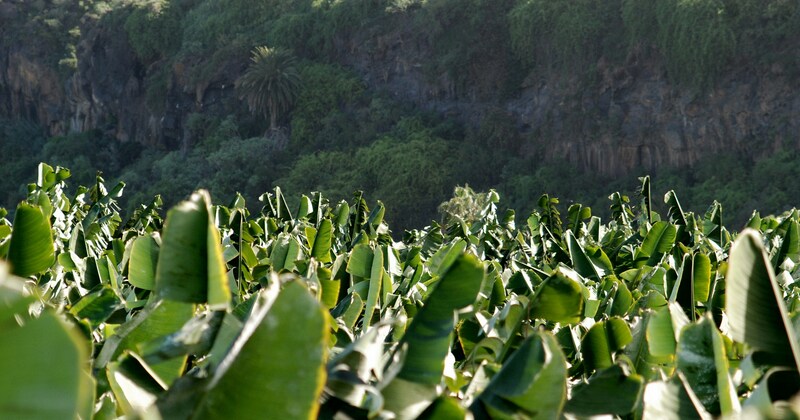 The laurel forest on western Tenerife is protected as the Teno Rural Park and there is also a Special Nature Reserve that covers some of the area. 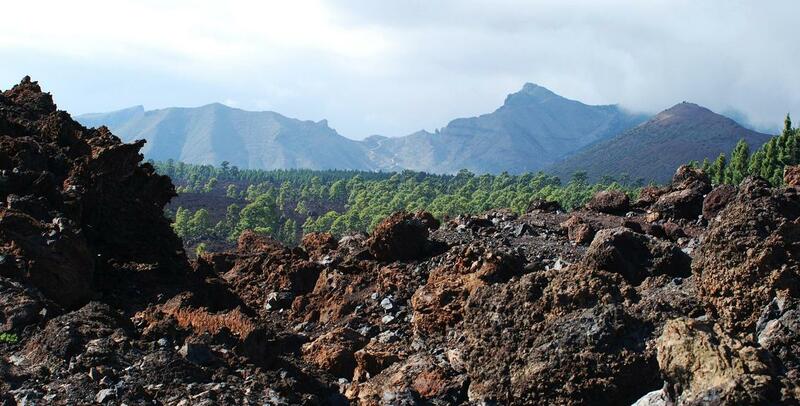 I was both interested and pleased to find that of 146 protected areas on the Canary Islands, Tenerife has 43. I was also interested to see that ‘protection’ in Canarian terms means something very slightly different to what it means in my world. 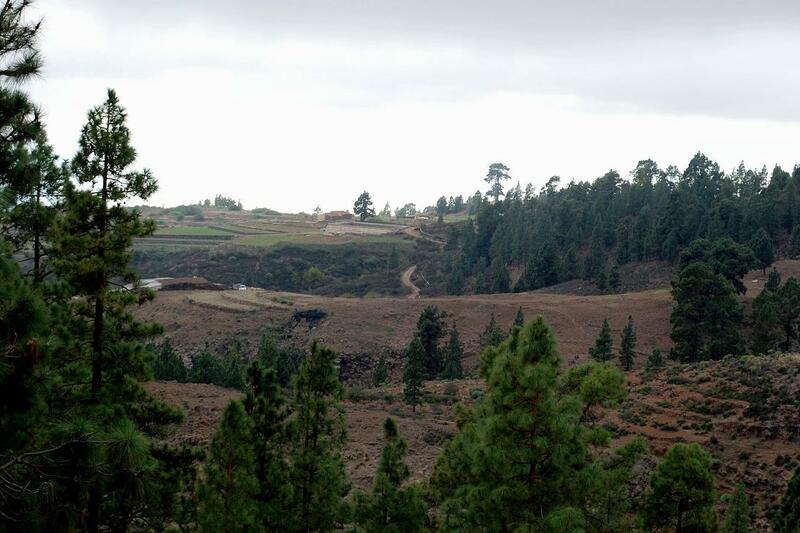 The framework for protecting natural areas is the Canary Islands Network for Naturally Protected Areas and, of course, that was drawn up not by conservationists but by bureaucrats. It has all the right references and it’s clear that knowledgeable folk were consulted but ‘protection’ comes in eight different colours and because it’s important to keep all your options open the wording of the protection criteria is such that, well, all options are kept open. The protection criteria for a Rural Park describe it as an eco-cultural landscape, nurturing a sort of interaction between archaic land-use and the ecological value. Kind of woolly when you see it like that and worrying when you read on government websites about another protected Rural Park that the ‘Anaga Massif, one of the three corners of the island of Tenerife, offers visitors extraordinary scenery, hidden beaches, spectacular cliffs and leafy Laurisilva forests.’ Apparently, it also offers local farmers unencumbered opportunities to cut trees and staves for use in vine cultivation, too. I hiked about 5Km through the forest to get to the birds but was appalled to meet two noisy and boisterous hiking parties that I’d heard coming for twenty minutes. There was also something else going on that I think was a quad-bike gathering and if they were haring down tracks similar to the one I was walking then there’s no doubt they were having a very good time. There should be room for all these activities but I wonder why the quad-bikes weren’t somewhere where the noise and disturbance as well as the physical damage wouldn’t affect declining species and I wonder why groups of youths who want to walk through an ancient forest aren’t briefed on the implications of disturbing the environment that makes it so special. I also wonder why someone on the whatever network I mentioned above doesn’t have the temerity to realise that there are tourist Euros not only in noisy youth groups and quad bikes but also aging nature-lovers. But then if they start to think about that too hard the flexibility in the ‘protection criteria’ might just allow someone to build an Ecohotel in the forest so I’d better keep that quiet. And my concern is not misplaced; the European Commission started legal proceedings against Spain last year for failing to provide adequate protection for 174 Natura 2000 sites in the Canary Islands. I managed to see Blue Chaffinches at San José de los Llanos and it was wonderful to see the two endemic pigeons even if the views were sometimes fleeting. Andy will be pleased about that but I’ll have to ask him what he thinks of these quad-bikes when I see him next. When you leave the repetitive and incongruous developments along the southern coast and especially when north of the TF-1 motorway, the character of Tenerife quickly changes; it becomes more verdant and rural. Small towns and villages are surrounded by terraced fields growing grapes, onions, cereals or citrus and the buildings, which rarely exceed two storeys outside town boundaries, sit more comfortably in the landscape. The smaller roads, bordered by stone-walled fields on one side and expansive views down to the coast and out to sea on the other, make the journey a pleasure. The route we took was ever upward but narrow and convoluted so progress was often slow. Nonetheless, one quickly gains a feeling that, road surfaces apart, this approaches what it was like on the island in the days before easyJet, Monarch and Ryanair. The Islas Canarias are a volcanic group and on Tenerife the third largest volcano in the world – it’s also the highest point in Spain – towers to 3718m so getting from one side of the island to the other means either going around or over El Teide. Ever the adventurer, I wasn’t minded to take the advice of the concierge and rush headlong down the TF-1 motorway to Santa Cruz De Tenerife so that I could then zoom back along the northern coast on the TF-5. That would have been a doddle, he’d assured us, at just over two hours. The mountain road would be slow and, holding my gaze for emphasis, very dangerous. Mind you, he was from Morocco and had no interest in sharing with us what turned out to be the most beautiful part of the island. And for all I know anyone driving slowly was, in his view, wet. No, it was the mountain route for me and with it the anticipation of isolated populations of native Canarians, endemic birds and distant views over heart-stopping precipices. That aside, we had experienced the TF-1 several times since arriving and I’d gained the impression that the motorways had been built by the same guy who was fixing the lights at the Vincci hotel. Consequently, it was difficult to convince me that using them would improve my journey. Stocked with emergency supplies – water, oranges, almond and a wonderful local nougat-like confectionery called turrón de melaza – we headed north and upward. Our banana plantation was located on the north coast near a town called Garachico and in order to see the pine forests along the way and lava fields at the foot of El Teide we had to follow a less than direct route through Vilaflor, on the south side of the volcano, across to Santiago Del Teide on the south-east side, north to El Tanque and down to Garachico. The roads weren’t that bad at all but were often narrow with numerous hairpin bends. As we climbed higher through the pine forests we increasingly encountered mist and cloud. It was a spectacular drive, bends and steep inclines, sudden bright sunshine and a momentary view of the Atlantic before plunging again plunging into mist and light rain. The vegetation suggested wetter and cooler conditions and it was much greener. The landscape was filled with birdsong; flocks of canaries seemed to be everywhere. By the time we’d reached El Tanque the clouds had closed in and the light rain was persistent. Roadside verges on this northern side of the island have grass and scrub and the backdrop is woodland, reflecting a very different climate from the southern side. 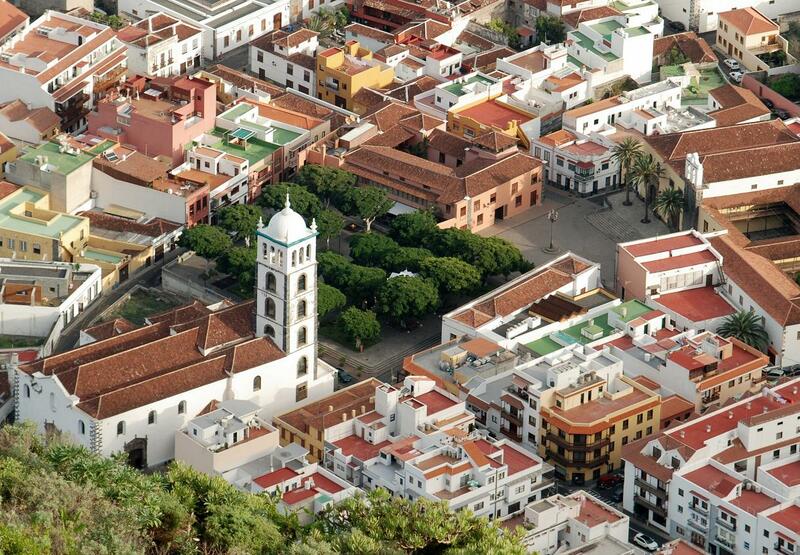 There’s also less intrusion from tourism so the towns feel altogether more ‘Canarian’. Any visitors to Tenerife not seeing this part will have missed something special. The national park with El Teide at its centre is apparently the most visited in Europe and I’ve read that it is the second most visited globally after Mount Fuji. I suspect, however, that the people at the Great Smoky Mountains and Grand Canyon might question that. Whatever its status, it is spectacular. 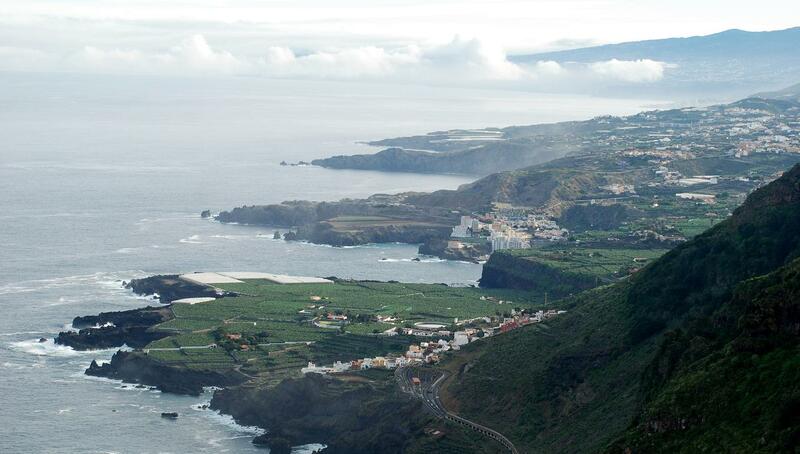 The road really does reach the edge of the island; as you head for Garachico the start of a vertiginous road leads down the north-facing slope and provides panoramic views that stretch from Puerto De La Cruz in the east to La Palma, another of the Islas Canarias but still 90Km to the west. Out in front of you is the ocean but if you have a head for heights and look down, you’re peering right into the town square of Garachico, some 400m below. From there it was a short hop to El Guincho and the bananas.